Kneeling on left knee, right foot forward. Arms overhead hands at position 1. 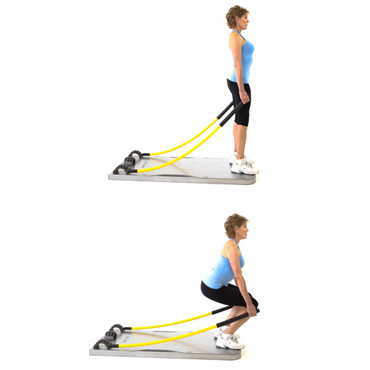 Lunge forward onto forward leg. Hold 15-30 seconds. Stand in a wide stance at #1. With the right arm reaching across the body, grab the left Stix with thumb up. Lean body to the right while simultaneously bending into the right knee and hold. Facing the right side of the board, hands at position 1. 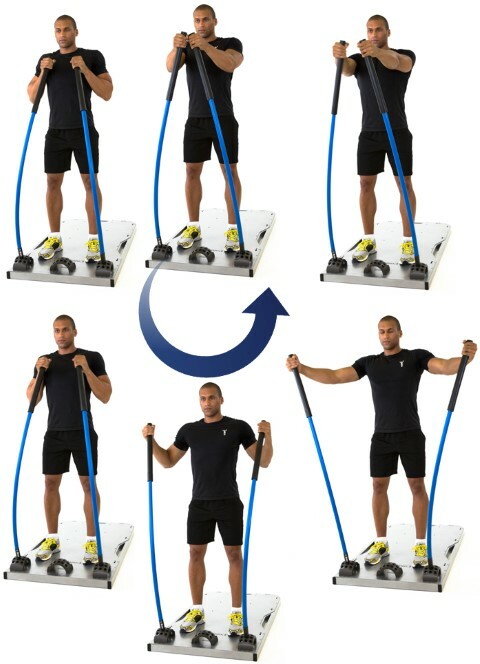 Allow the Stix to pull you into a side stretch. Hold 15-30 seconds. Side lying with left elbow off of the back of the board (adjust for height) feet stacked in front of the center Arc, lift hips until body is straight. 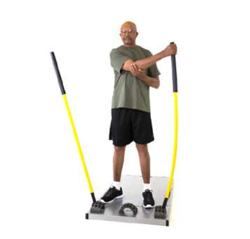 Right hand on Stix, perform a chest fly with right hand while maintaining perfect posture in side plank. (Progression: Instead of a fly, perform a circle with right arm). Side lying with left elbow off of the back of the board (adjust for height) feet stacked in front of the right Arc, lift hips until body is straight. 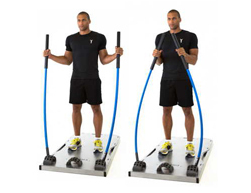 Right hand on Stix, perform a row with right hand while maintaining perfect posture in side plank. Progression: Hold right foot in raised position with leg straight. 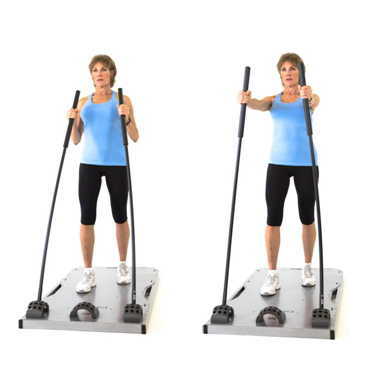 Squat up in a standing position, grab left Stix at position 1, and core engaged. Stand on right foot, knee soft, hinge at hips maintaining neutral spine. Extend left leg behind. 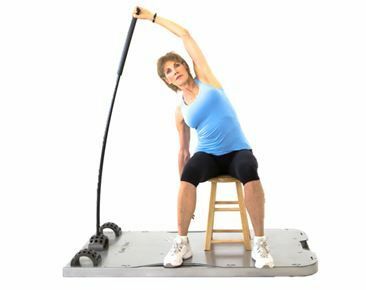 Grab Stix and pull toward body, keeping elbow in by side. Feet parallel at #5, knees soft, core engaged, and hands at position 1. Squat down low by sitting down and back; low back may be slightly arched. Drive back up through heels to stand upright, keeping back neutral. Feet parallel and narrow, hands at position 2. Knees soft, elbows bent to 90° and holding a rolled up towel against ribs, core tight. Internally rotate arms as far without letting the elbows float away from ribs, don’t drop towel. With feet slightly staggered, hands in position 2, core engaged.